Vacation + prepping for a move and a new job = not a lot of progress made reading books. BUT...of course I'm still reading! I'm working my way through Cold Steel right now, the third book of the fantastic Spiritwalker trilogy by Kate Elliot. I did take a quick break this week to read If I Stay, by Gayle Forman. It's a relatively short young adult novel about a teenage girl caught between life and death. It's about life and love and loss and family and relationships. The writing is simple and clean, but also rich with emotion. Music plays a big role in the book and the lives of the people in it, which of course I love. And the main character plays the cello! (makes me want ot break mine out and lament that I was too lazy/chicken to continue studying the cello in college and become a music major) Anyway...it's good stuff. Now I just need to get my hands on the sequel: Where She Went. A Sense of the World, by Jason Roberts is the biographyof a man who, despite having lived a remarkable life, was nearly lost to history. Roberts found mention of James Holman by chance, a single paragraph in a book about unique travelers. It inspired him to do more research, and in doing so he uncovered the story of a man who loved learning, craved adventure, and wanted to explore the world. After serving for three years in the British navy, Holman developed a disease that caused him to go blind. As the fourth son of a chemist, he had little money and his future to anyone else might have seemed grim. But Holman held on to his dreams and remained undaunted. He found a way to travel literally around the world -- and then some -- experiencing it through sound and smell and touch. And as he was traveling on a tight budget, he arranged and conducted his travels primarily on his own. But he made friends wherever he went, and inspired others along the way. I don't read a lot of nonfiction, but I do enjoy a good biography, and this is certainly a good one. I especially appreciate how the author counters the 18th century thoughts and prejudices of blindness against the realities. He clearly did his research, and I appreciate his effort to dispell myths, some of which prevail even today. The author writes with a fondness for James Holman, which gives an added bit of life to the story. 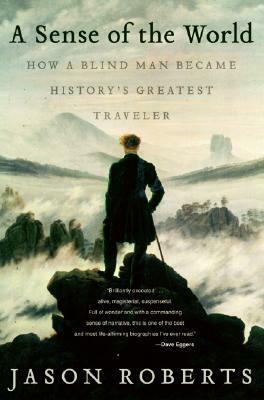 Pick up this book if you like history, a well-written biography, or have that yearning for travel and adventure.